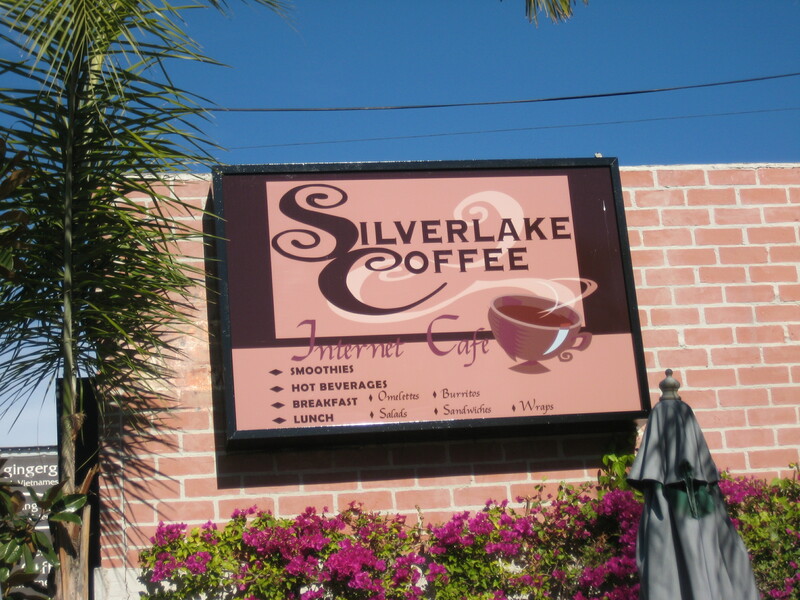 Silverlake Coffee 101 | Real in L.A. If you want a table inside, get there early. Once the screenwriters/novelists hunker down, they don’t move. Macbooks are optional; it’s really okay to bring your Vaio. Avoid the couches, they’re ergonomic monsters. Tip well. The baristas are good at what they do and it’s a hard job. Smoking on the patio is NOT okay. That’s not just me saying it; in L.A., it’s the law. Water bowls are available on the patio for your pooches. And if it’s cold, how about bringing a blanket so Fido doesn’t have to lie on cold concrete? Put up the umbrellas, take them down, move them around, whatever. But: Thou shalt not steal thy neighbor’s shade. Did I mention you should tip the baristas? If you park in the lot more than 2 hours, expect the stink-eye from the attendant (and deservedly so). There’s no password for the wi-fi and no key needed for the WC. If you ask, the baristas give you soy milk for your coffee. No charge. Don’t assume electrical outlets on the patio work . In or out, plug in other patron’s power cords if they ask. Last, but not least, tip well! You are currently reading Silverlake Coffee 101 at Real in L.A..